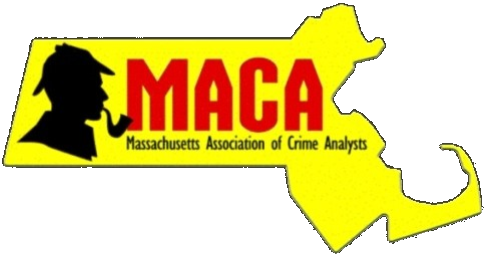 The April MACA Meeting will be held on Wednesday, April 24th at 10am at the Wilmington Police Department (1 Adelaide St). FBI Analyst Sharon Phelan will present on the “Incognito Bandit” serial bank robber case. The Incognito Bandit was responsible for at least 16 bank robberies in the Metro-West and Greater Boston areas during 2016-2017. In most of the robberies, the robber was disguised in a dark hooded sweatshirt, dark face mask/sunglasses covering his face, dark gloves and dark clothing. In most of the robberies, the robber displayed what tellers described as a black semi-automatic handgun. Sharon will discuss the operation/intelligence coordinated efforts that led to the identification and ultimate arrest of the Incognito Bandit. Visit www.capecodresortandconferencecenter.com to book your room online (enter Group Code MACA19 for discounted rate) or call 866-828-8259 and mention MACA.